At Seymour Dental we prefer the word aesthetic dentistry as cosmetic dentistry can imply that the treatment is optional or unnecessary. Often, this is not the case. Damaged or unattractive teeth can affect a patient’s self-confidence and lead to further dental problems. 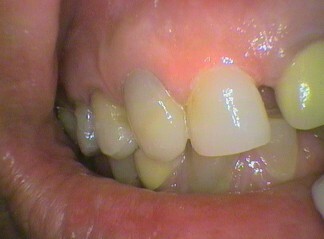 Composites – treatment performed directly in the mouth and completed in one visit. Porcelain veneers and inlays – custom made and shaped, then cemented in a later visit. Aesthetics can sometimes offer improvements for patients with heavy or worn bites, allowing the teeth to be built up, improve appearance and last longer as the jaw can’t close together quite so forcefully. If you’d like to book an cosmetic dentistry appointment with the dentist at Seymour Dental then contact us, or call us in Dulwich Hill, Sydney on (02) 9564 2397. 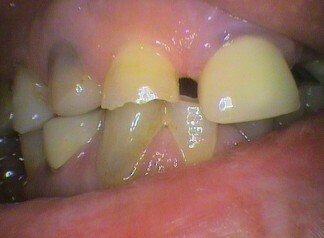 Worn teeth causing overclosure of bite Front view of build up & fillings - getting back to a normal bite & look.